Even as more and more politicians call for the resignation of Veterans Affairs Secretary Eric Shinseki, the White House on Thursday insisted President Obama will wait to see Shinseki's internal review of the VA before determining what steps should be taken to ensure there's accountability at the agency. Mr. Obama found the interim report released by the VA Office of Inspector General, apparently confirming allegations of wrongdoing at a Phoenix hospital facility, "extremely disturbing," White House spokesman Jay Carney told reporters. He noted that Mr. Obama has tasked Shinseki with giving him the preliminary findings of the VA's internal review by the end of the week. "When he receives that, he'll be able to evaluate those findings, along with what we've seen from the inspector general, and assess where we are at that point," Carney said. The president also looks forward to seeing the results of a broader review of the VA system being conducted by Mr. Obama's deputy chief of staff, Rob Nabors. "All of these investigations are important... but they should not preclude taking action now" to improve care for veterans, Carney said. "When it comes to the overall issue... we are focused on getting to the root of the problem and determining the full scope of the problem," he added. 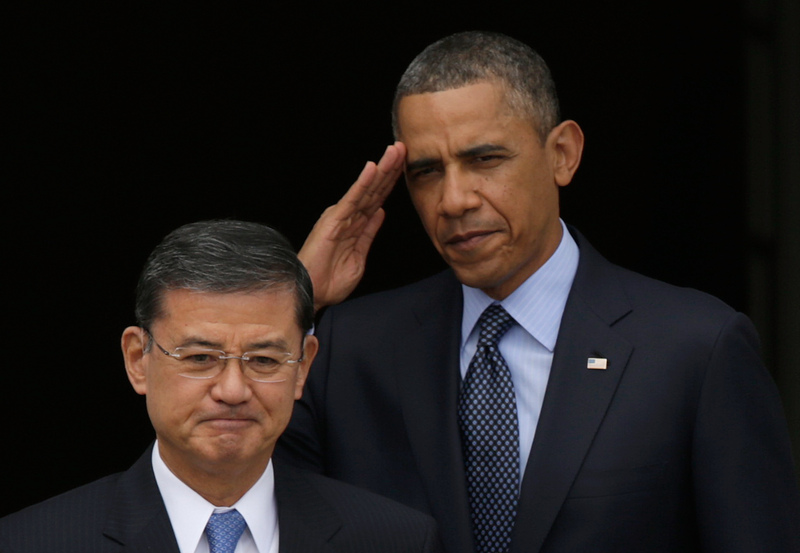 When asked whether Mr. Obama still has confidence in Shinseki, Carney would not give a simple yes or no answer, but said, "The president believes and is confident Secretary Shineski has served his nation admirably... [and] he has accomplished some very important things as secretary of Veterans Affairs" such as they include extending education benefits and reducing veteran homelessness. Fourteen Senate Republicans along with 11 Senate Democrats aren't waiting for the audit and have called on Shinseki to step down, including nine Democrats who are up for re-election this November, some of whom have been targets of recent Republican attacks over the VA issue. Some lawmakers, including House Minority Leader Nancy Pelosi, D-Calif., have suggested there should be a Justice Department investigation into whether there was any criminal wrongdoing at the VA. The White House said that should be left up to the VA inspector general for now. "It is in general the case that independent inspectors general, when they conduct an investigation, have as an option if they believe it is necessary... to refer that information to the Department of Justice," he said. "The president as a general matter is supportive of that process... It's certainly appropriate for that process to be carried out in the way it was meant to be carried out."